From customizer you can change your default font color setup. General Text Color : Change this option to modify your global text color. Heading Color : Change this option to modify color of your heading text. Link Color : Change this option to modify color of your linked element. 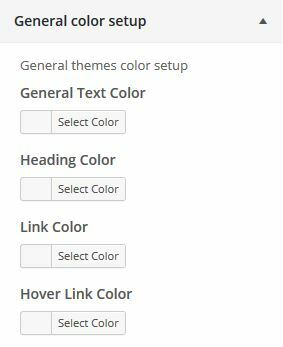 Hover Link Color : Change this option to modify color of your hovered color link.